The purpose of this document is to provide you with extended knowledge of the financial industry as it relates to promotional products, as well as offer tips to help expand your cap sales into the market. In this series, we will look at different types of companies within the banking and stock market industries, so that you will have a better understanding of how to target each. Today, we’ll cover banking, lenders, and credit card companies. Next time, we’ll look at investments, taxes, and insurance. They are run by a board of directors that is made up of local citizens who want to advance the interest of the towns and cities where they live and do business. So, how do community banks consume promotional headwear? Representatives from the bank can pass out promotional caps during the festivities, or include them in the swag bag if one is handed out. If the bank is sponsoring the event, representatives and volunteers can wear them as part of the uniform. Community banks like to have a home-town feel and one-on-one relationships with their customers. 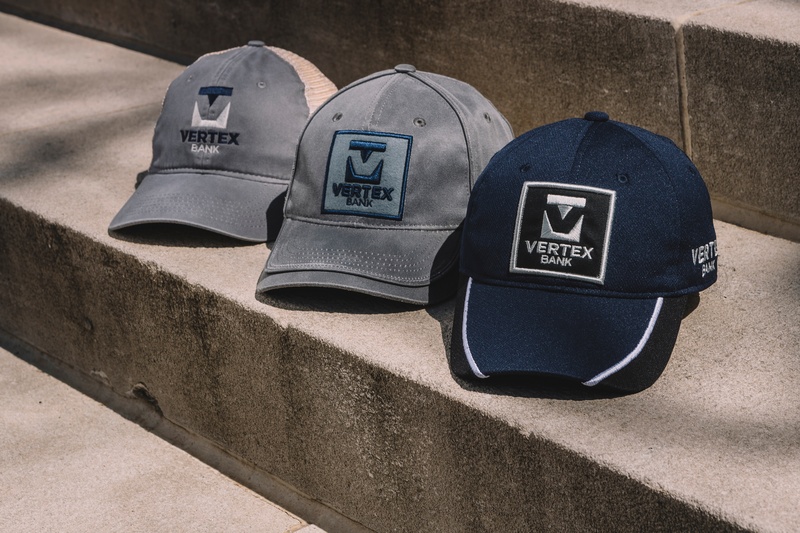 To do this, they can offer logoed hats as welcome gifts to new customers as well as a way to say thank you during the holiday season. Although multi-state banks make up less than 1% of the total number of banks in America, they still hold a significant portion of your potential promotional sales. Credit unions, loan officers, and other lending institutions can target their advertising to fit the needs of their customers—teenagers applying to school or buying their first car, millennials financing their first home or business, etc. Yes, it is going to be significantly more expensive up front to mail a cap to someone than a letter, but not if we consider the long-term return. Those fifteen pieces of mail I receive each week are all from the same handful of companies, which means they are spending several dollars a month to target me to no avail because it all just gets trashed anyway. Now, if I were to receive a large package that clearly contained a product in it, I would at least be curious enough to open it, which is more than I can say for the last hundred or so letters I have received. Promotional products are known to create a lasting, favorable impression of a brand. So even if I do not immediately apply for a credit card after receiving my cap, I am still going to remember that company in a positive light. When I am ready to open a new line of credit, who do you think will be at the top of my list? For more information on selling caps to the financial market, order your own Business Development Kit. Don’t forget to check back next time as we look at other aspects of the finance sector: investors, tax representatives, and insurance agencies.